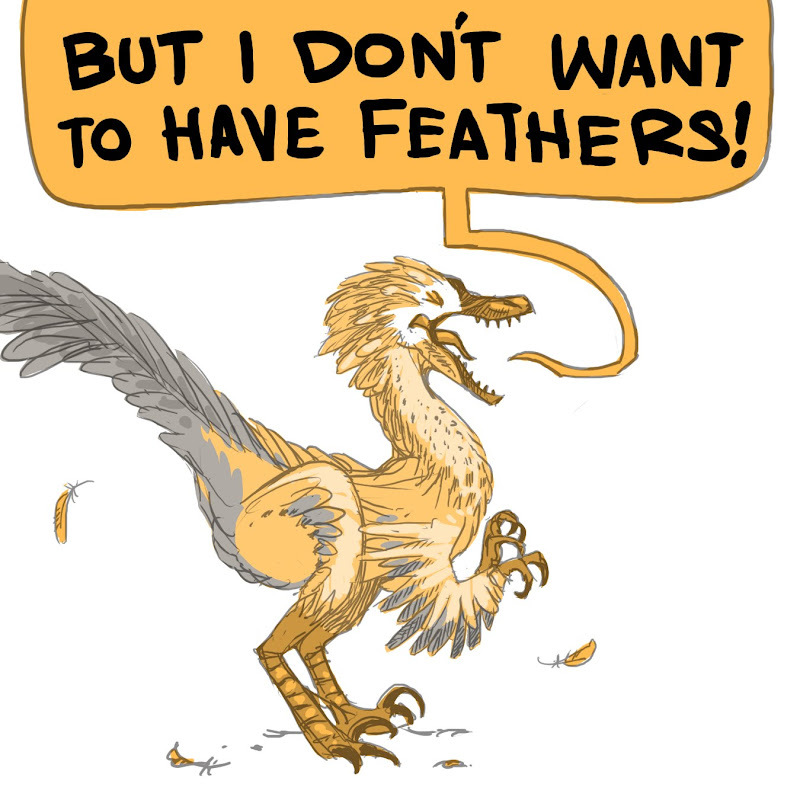 But I Don't Want to Have Feathers! A troop of sassy dinosaurs take on current theories and argue with the scientist narrator. This idea HAS to be one of your books for further development. It can be nonfiction, with a fun character twist. It might be fun if the book takes the usual nonfiction twist - really detailed scientific illos, with little cartoon versions of the dinosaurs in the corner, making comments about it. I'd really like to see this one too.